This time last year, I was in Paris with the man I thought I’d spend the rest of my life with. I remember praying, saying thank you to the universe, for the relationship and love I had in my life. I trusted my partner and loved him with every ounce of my heart and soul. He was “the one”, so I thought. That is, until a week after our trip, a boys night out turned into him making a series of poor and destructive decisions that would ultimately break everything we had into pieces – including my heart. He cheated on me with a previous coworker of mine, and upon coming home at 4AM, lied to me and blamed me for being paranoid. What happened in the next 48 hours after was a blur of lies, and a painful slow discovery that the person I admired and adored, was not the person I thought I knew. I have purposely not written about what happened in my breakup because I felt I needed some time to heal and process the situation before publishing, and because I didn’t want my story to come from a place of spite or revenge. Also, it has taken me a lot of courage to share this very personal experience with you, because I felt a lot of shame in what happened. As much as I can say I’m a confident and strong woman, you can bet that I doubted my own self-worth, and asked myself what was so wrong with me for the man who supposedly loved me to throw it all away for an hour with someone who “meant nothing” to him? I was embarrassed, hurt and my self-esteem was damaged. I believe that everyone makes mistakes, and often, it is not the mistakes that defines a person’s character, but what they do afterward. I hoped in my heart, that he would redeem himself. That he would be accountable for his actions, work for my forgiveness and try whatever he could to make things right. I hung on to faith that he would step up to be the man I thought he was. But he didn’t. And maybe that’s the most disappointing part of it all. At that time, I was living with him, I had lost my job two months prior and had no income. My health deteriorated, I stopped eating, lost over 15 pounds in a matter of weeks. I experienced my first panic attack. Without going into detail, I learned that during that period of depression, my immune system was very weakened, resulting in some serious, potential long-term health issues. I was in such an ultimate low where I was not rational, nor could I see the end to the suffering, and had extremely destructive thoughts. It felt like everything had fallen down at once. Regardless of the support from friends and family during such a time, I felt terribly alone. To have your trust breached and your heart so wounded feels like there is a dark cloud of misery that follows you everywhere you go. It’s with you no matter how you try to distract yourself. Even in sleep you cannot escape, as pain haunts you in the form of nightmares. You feel trapped – because there is nothing you can say or do to make it go away. During this time, I reached out to him for help. In his own pain, he did not know how to handle me. So instead of responding with compassion and care, he’d ignore me, and I felt like an inconvenient bother (and plain crazy). I watched the man that I loved, that I shared deep secrets and sacred moments with, in a blink of an eye, treat me like I was nothing. It was as if one day, I was the world to him, and the next moment, I was irrelevant. I’ve worked very hard to pick myself up, turn my pain into inspiration to be stronger, smarter and wiser. But a year later, I still have moments where sadness, confusion and anger creep up on me and I break down in tears. These tears go way beyond my experience of betrayal – they stem down to the little girl inside, whose deepest insecurity is not being good enough. That little girl who never seemed to be able to get love and approval from her father, comes out and wonders if she will ever be worthy of love from a man. Perhaps he just wasn’t capable of showing me care the way I expected. Perhaps I was such an emotional wreck at the time that he felt any efforts would be futile. Perhaps he had lost all hope, and cutting me off was the only way he knew how to deal with the situation. Perhaps I just lived in denial during our relationship, and lived in a fantasy I created in my own head. I do not want to paint him as a bad person – sure, he is someone who did something “bad” – but I know deep in my heart, his intention was not to hurt me. What happened came from a very unhealthy place of disconnection, and I have to take accountability for the fact that I attracted him into my life in the first place. After all, you attract people of a similar health level. I do not know what he felt, what he thought or how he handled his pain and shame. I was one of the few people he let in his life, and I’m sure it wasn’t easy for him either. I’m sure there are some deep-rooted issues of his own which caused him to make the decisions he did. As much as I am the one who was betrayed, there is a different sort of pain he had to deal with – guilt. I’m not sure what is worse. But it’s likely both are pretty awful to experience. Feeling betrayed is a dark place that can control your thoughts and behavior. In the process of dealing with the pain, I dehumanized him. I lost compassion and forgot that his actions came from a place of his own darkness. I dismissed that he was trying his best to cope as he knew how. All the great memories, the times we laughed, the special moments, they have become a blur in the bitterness. And that is such a shame, because just because the ending was bad, it doesn’t dilute the incredible moments we once shared – and to look back only to see the bad ending is unfortunate and a disservice to myself. To this day, I still haven’t figured out if there was one big lesson the universe was trying to teach me. Perhaps it was a series of lessons, from how to choose my future partner, how to recognize red flags, to determining what values I truly stand for. I’ve replayed that day in my head hundreds of times, hoping that maybe if I could understand exactly why everything happened the way it did, that I’d be able to completely move on and feel at peace. But no matter how I analyze it, or how I put the pieces together, it doesn’t make sense. I’ll probably never figure it out, and I hope for the day when I stop caring to. The ego in me feels frustrated, that twelve months later, I still feel the remnants of that heartbreak. Sometimes it comes in waves so strong that I feel I have made no progress at all. And sometimes I look back and am thankful that all this happened – because I’ve grown so much from the experience. There are ups and downs, and I am proud to say that there are a lot more ups than there are downs now. And slowly, the hope that real, authentic love does exist is starting to return. It’d be a lie to say that I don’t miss him. I am reminded of him often – from the food I eat, the places I visit, to some of the jokes that only he and I were in on. And behind the anger, the hurt, the betrayal, there is still love and care that remains. That love will eventually fade, just like the memories will, and one day, so will the pain. When you feel pain and suffering, it’s hard to see the light or how the experience fits in to the bigger picture of things. Hitting such a low was not an easy feat, however, I feel as if it helped me mature. In the last year, I’ve become very clear on my values and have been attracting new opportunities and people that are aligned with those values. I’m healthier both spiritually and physically than I ever have been in my life, and there’s been a lot of positive momentum in my career and self-growth. I’ve given myself permission to be vulnerable and have allowed myself to process the plethora of emotions and old wounds that were triggered from the event. There’s been some deep childhood stuff that surfaced after being suppressed for over two decades, and ripping off the band-aid has forced me to work through them. I remember some of the darkest moments I faced after I found out he cheated on me. I felt like I was completely broken and I wanted him to fix me. 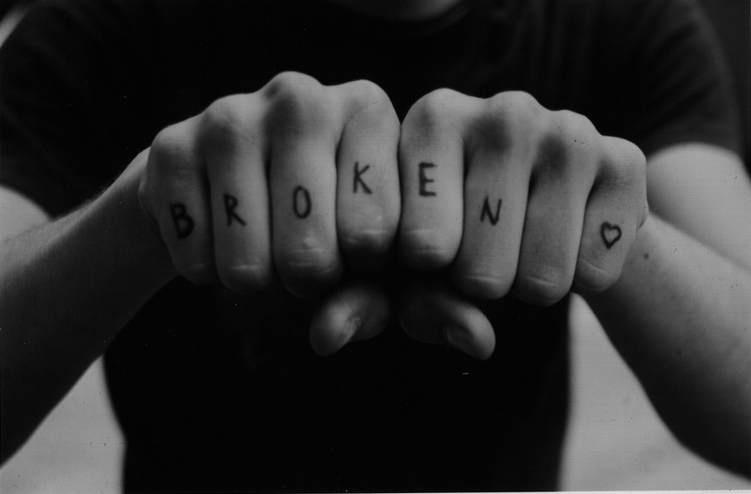 Now, I realize, I wasn’t broken. I was just bruised. And those bruises, through gentle care, eventually heal. I look back and think about that scared little girl, sobbing as if it was the end of the world, I know now, the world was not ending, rather, it just had to hit a low in order for it to get a lot better. And it did. If you are reading this and have experienced or are experiencing something similar, I hope that this article gives you some peace of mind, that what you are feeling is normal. The hurt, anger, denial, thirst for revenge – those are all part of the emotional range that comes with betrayal. Have faith that things will get better and the feeling of suffering will eventually ease. However, keep in mind that if you don’t process the experience, and allow the wound to truly heal, you will only endure the same suffering in some shape or form in the future. I hope you allow yourself to be vulnerable, break down as you need to, and get real honest with yourself so that you can grow from the experience, and in turn, become a healthier person. Because when you yourself are healthy, you will start attracting healthy people and situations in to your life. A wise friend once told me, “like attracts like”. These struggles in our lives are opportunities for us to heal old wounds and to grow. They are catalysts that have to be triggered in order for you to overcome them. These experiences may not feel good at the time, but they are not good or bad – they are just a part of the human journey. And you have the choice to deal with them in a healthy way or not. I hope you choose the former, because it only gets better from there. I promise. Your story was very inspiring. Unfortunately, I’m still sitting here in pain with the same man. I’ve had knee surgery but it’s giving me time to sit back and think and I’m going to pack my things and leave as soon as I start walking again. Bout 2 weeks. He does not know. He just thinks I’m stupid and I’m insecure as he says it. Came home from knee surgery on the 15th and he left me with my daughter and hung out with the guys till 5am. Did this 2 nights in a row. So I started researching…. ohhhh did I find some things… but it’s ok… my heart ❤️ is so bruised at this point , I’m feeling less and less for him. I have to go. I know he’s starting to feel it. My friend is going to help me pack while he’s at work and I’ll b staying with her till I get bk on my feet. I’m crying as I write this. Lord please guide me in the right direction. Hopefully I can make this retreat in December and by then I should not be sitting on this couch crying everyday, I should be Gone forever. I feel the pain as well. I discovered many red flags over the summer and he lied making up stories about them all. I tried to give the benefit of the doubt and that because I loved him. I knew he had been under a lot of stress and was going through a few things. He never came to me in the spring when we first had a bit of a disconnect and I was trying to figure out what I wanted as I wasn’t at that point ready to make the next step of moving in together. Well he met someone online and started hanging out with her, telling me lies that they were just friends. I saw the red flags and questioned them. He got tired of my we need to talk and me questioning his loyalty and trust. Well hello I had good reason. You would like that if you love someone and care about them if they are questioning your trust and you are telling the truth you would do everything in your power to prove it to them. Nope. He dumped me via a text and the next week I came across a social media account of hers and she had photos posted as far back as May with photos of breakfast in bed he made her. Called him out on it and he said it was bs. Chatted by text and said something about him dumping me and his reply “No I didn’t”. We saw each other two times and I tried to get him to fess up and finally just tell me the truth even if it did hurt and he wouldn’t. He would play the victim card and try to make it my fault when I know I have done nothing wrong. He has been cheating since May and is planning on moving in with this other women. He has cheated on her with me and well is using her because he is not in a good financial position. I am trying to stop the looking at social media and have deleted some apps to try to stop the temptation. It is hard as one min I am sad the next angry and want to yell at him and call him every name in the book. I just want the pain to stop and not be thinking of things all the time. It is causing me to be stressed and not sleep well. I have lost 30 lbs since things got bad. I am going to get professional help as I can’t keep feeling this way and well haven’t a clue how to get back to being me.